TOUCHBeauty EYE MASSAGER is a high frequency beauty instrument combines 40℃ Heat Massager with High Frequency Vibration method to work, design to removes dark circles and puffiness around our eyes. Eyes are the window of the soul, it’s important to care your eyes every day. ✔Make eye cream was absorbed by your skin:– gentle warm massager promotes increased circulation and oxidizes the skin to provide collagen to the face. 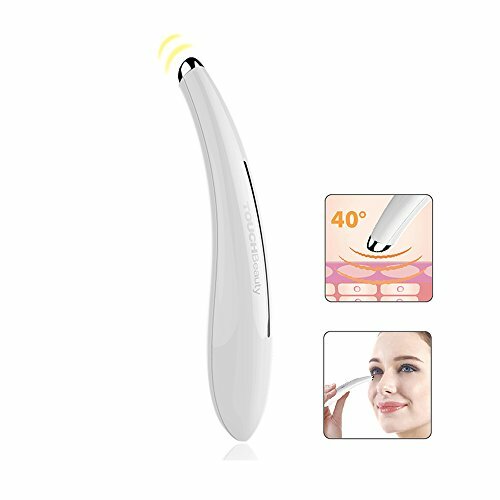 ✔Safety Eye Massage Wand– 100% RISK-FREE high-tech face&eye skin care device, designed to assist build your skin’s resilience & flexibility, gives you a clear and beauty eyes.